An exercise in analog game design. 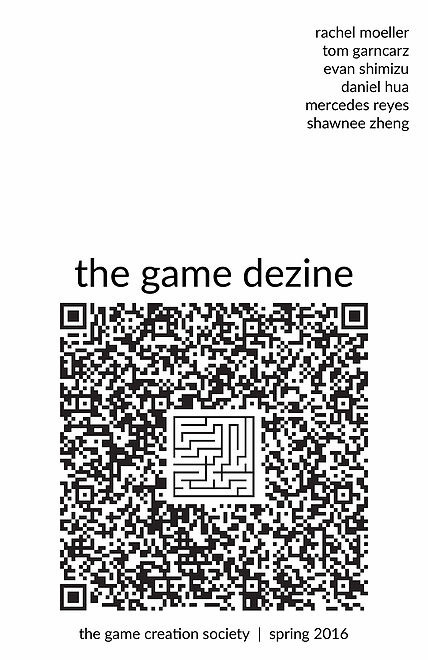 The Game Dezine is a short paper publication (colloquially known as a "zine") with an express focus on acting as a celebration and plaything of analog game design. The booklet contains about a dozen games focused on the nature of the medium, ranging from multiplayer strategy games to collaborative drawing distractions. ​I contributed three separate games to the final product (Many Masks, TUNO, and Ringkings), as well as helped with the overall visual design and layout of the zine.